This is old version ShowBox 4.69 apk for Android, you can install it if you want to downgrade or install old app. 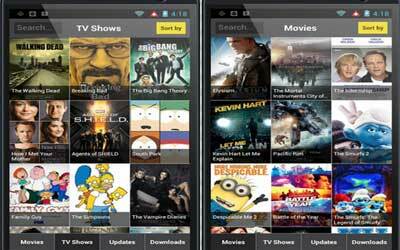 It is top Media & Video apps from ShowBox. If you do not have enough time to watch the TV shows or movies that you like, at that time, you can choose the option to ‘download’ now or watch the video later. You can change the option in the application easily, so you will not miss your favorite TV shows and movie. ShowBox will really help you in doing the streaming and also downloading some videos that you like. Just like when you stream with this application, when you download the video using this application you will also get the best quality of the video. If you want to download this application, you cannot go to Google Play. Yes, this application is not available in the Play store. You do not need to worry you can install the APK from download link which we shared. You can read for the guidance or manual to install the Show Box application in your Android device. So, what do you think about this application? That is all for you the information about ShowBox for Android.